Hate him or love him, G.O.O.D. Music affiliate 2 Chainz is in the process of cementing his stamp on the rap game. From shedding his original moniker Tity Boi in 2011 to the more "family friendly" 2 Chainz to his quote worthy verse on G.O.O.D Music single "Mercy" the College Park,GA native has been on a winning streak of sorts. If the 36 six year old comeback kid's own shameless self-promotion alone isn't fueling his rapid ascension, the aid of his unlikely yet highly influential bosom buddy Kanye West can take a fair share of the credit for reintroducing listeners to the artist formerly known as Tity Boi. If anything West has humbly given 2 Chainz some much needed high profile exposure by providing the rapper with a coveted platform to showcase the world what he has tooffer to the rap game while. 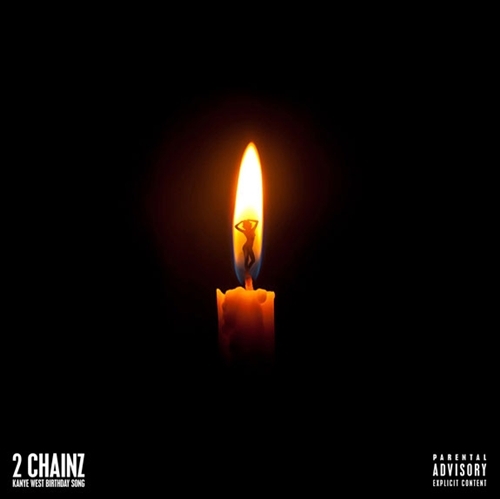 The two rappers joined forces for the much hyped second single "Birthday Song" off 2 Chainz's forthcoming freshman album, Based On A T.R.U. Story. Produced by Sonny Digital & Kanye West, on "Birthday Song" 2 Chainz does a surprising job of holding his own despite matching verses with hip-hop's King Midas, Mr. West.Who's to say this track is only worth listening due to the Kanye West feature? Reports have confirmed 2 Chainz's forthcoming LP will include guest appearances from YMCMB's Drake and Nicki Minaj, MMG's Meek Mill and Rick Ross as well as G.O.O.D. Music's Big Sean. Listeners can expect the album's bluntly titled third single "I Love Dem Strippers" which will feature Nicki Minaj to be released early next month. The genius that professed his coupe was the color of mayonnaise and hipped listeners to the art being drunk and high at the same time while sipping on the champagne on airplane is slated to release his debut album, Based On A T.R.U. Story August 14 via Def Jam. Does this qualify as brilliant ignorance? worst song I've heard in a long time. 2 chainz is a clown.